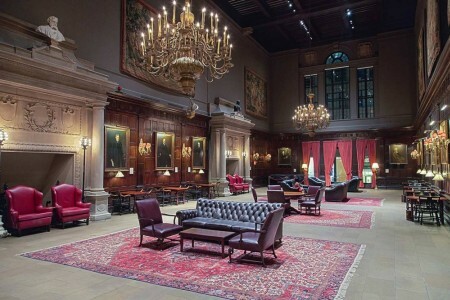 RISMedia’s Real Estate CEO Exchange, which takes place Sept. 13th and 14th, 2016 at the Harvard Club of New York City, will shine a light on “Seizing the Day, Winning the Future,” focusing on burgeoning opportunities in today’s real estate market. An exclusive, intimate gathering of some of real estate’s most influential and dynamic leaders, RISMedia’s 2016 Real Estate CEO Exchange 2016 covers every aspect of modern real estate, from the promise of the millennial generation to the power of the diversity market. Experts note that it’s a good time to be in real estate – but the future is also murky. Lingering economic uncertainty and impending change in Washington stand to stymie our momentum going forward. RISMedia’s 2016 CEO Exchange will uncover strategies for focusing on the present while planning for what lay ahead, so that brokers can maximize current market opportunities and build a strong business plan for the future. From products and services to culture and technology, getting independent contractors on the same page can be a tall order. In this session, learn communication and motivational strategies that facilitate agent adoption of your company culture, resources and technology to give your firm a consistent voice and success rate in the market. Moderator: Joseph Rand is the general counsel and managing partner for Better Homes and Gardens Real Estate – Rand Realty, one of the largest companies in the New York region with 25 offices, 800 agents, and closing almost $2 billion in real estate transactions in 2015. Rand’s primary responsibility is managing the company’s career development and education programs, principally based on a concept he has pioneered called “Client-Oriented Real Estate,” or “CORE,” which is designed to raise the level of client service provided by the real estate industry. Todd A. Hetherington is the founder CEO and co-owner of NM Management, Inc., a Virginia-based real estate organization offering a full range of sales and services support to clients in Virginia, Maryland, and the District of Columbia. It is the parent company of CENTURY 21® New Millennium, ranked the number one CENTURY 21® firm in the world since 2012. Helen Hanna Casey is the president and CEO of real estate brokerage for Howard Hanna Real Estate Services. With more than four decades in the real estate industry, Casey, her sister Annie, and brother Hoddy lead the fourth-largest real estate company in the United States, overseeing over 205 offices and 7,300 sales associates and employees in eight states. Paul Wells is the broker/owner of RE/MAX of Barrington. The company has two offices and approximately 50 agents in the Chicago area, which have been recognized as some of the most successful offices in the entire RE/MAX system. Wells also leads The WELLS Group, one of the region’s top-producing teams for almost 20 years. Judy Green is the president and CEO of Premier Sotheby’s International Realty. In her 35-plus year real estate career, Green has earned widespread recognition and a revered reputation as a creative thinker and visionary leader. In 2015, she led the company’s expansion into the Central Florida market as well as new locations in North Carolina. In 2015, the company recorded sales volume of over $4 billion representing more than 5,200 closed sales. Michael Mahon is the president and broker of record for HER REALTORS®. As a 26-year veteran of the real estate industry, Mahon has gained national recognition for his use of cultural development strategies in creation of associate development growth, as well as organizational recruitment growth and retention. HER Realtors® maintained a closed unit volume of 11,636 units, with a closed sales volume of nearly $2.1 billion for 2015. Visit our website for the most up-to-date information on the agenda and speakers. Master Level: Berkshire Hathaway HomeServices, Better Homes and Gardens Real Estate, Century 21, ERA Real Estate, Homes.com, National Association of REALTORS®, realtor.com®, Quicken Loans. Host Level: American Home Shield, Halstead Property, Leading Real Estate Companies of the World®, MRE, RPR®, Wells Fargo, Real Estate Webmasters, Zillow. Event Level: Delta Media Group, HSA Home Warranty, Moxiworks, NRG, ReferralExchange, The Entrust Group, zipLogix.